The number of homeschooled youth is growing throughout America and Scouting is a natural means of providing curriculum support and peer activities which are needed to become an educated person. This conference is for all who wish to learn how to use the Scouting program to enrich the home-teaching program. Share successes of homeschool families from around the country in the use of Scouting to enhance their program. Discussion and examples of ways to present Scouting materials to home school organizations in your area. Discussion on the use of Scouting resources to enrich home school activities. Presentation on ways for homeschooled Scouts to make valuable contributions to their District and Council. Learn about youth in Scouting - from Tiger Cubs to Venture Crews. Presentation on the role of a "Homeschool" Commissioner. 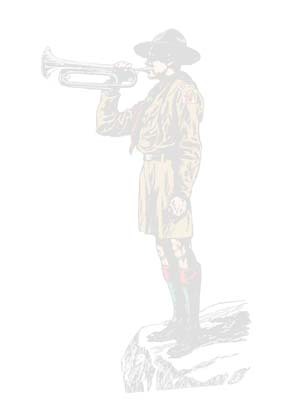 Find ways to reach others in Scouting and in the homeschool community. Children will enjoy hikes, games, crafts and site seeing. Scouter spouses can elect to pre-register for other courses offered during the week. Spouses will have the opportunity to take part in their own hikes, crafts, tours and free time. Bring the whole family and enjoy the experience of Philmont Scout Ranch and Training Center. To request an invitation, contact your local Scout office or speak to your District Executive. From more information about the Philmont Training Conferences, visit the web site: http://www.scouting.org/philmont/ptc/.